For over a century, Merck Publishing has been dedicated to providing the finest medical and scientific books in the world. Long known for providing authoritative references for healthcare professionals, Merck Publishing more recently began producing resources in everyday language for the general public. 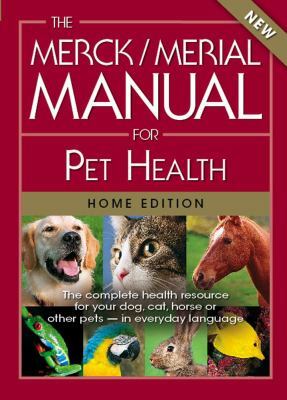 In fact,The Merck Manual of Medical Information -- Home Editionhas sold more than 2 million copies, and is the best-selling home medical reference in the world. Now, Merck Publishing has partnered with Merial, a world-leading animal health company, to bring comprehensive animal health information to pet owners everywhere.Kahn, Cynthia M. is the author of 'The Merck/Merial Manual for Pet Health: The Complete Pet Health Resource for Your Dog, Cat, Horse or other Pets', published 2007 under ISBN 9780911910995 and ISBN 0911910999. Loading marketplace prices 48 copies from $0.51 How does the rental process work?